Summary: A new study reports exposure to airborne manganese in welding fumes contribute to Parkinson’s like neurological problems. Current safety standards may not protect workers adequately. The most worrisome aspect of the study, Racette said, is that the neurological signs showed up in people with an estimated exposure of only 0.14 milligrams of manganese per cubic meter of air, far below the safety standard set by OSHA at 5 milligrams per cubic meter. NeuroscienceNews image is credited to Adam Harris at healthyhandyman.com. Funding: Funding provided by National Institutes of Health, NIH/National Institute for Environmental Health Sciences, Michael J. Fox Foundation, NIH/National Institute of Neurologic Disorders and Stroke, National Center for Research Resources. Image Source: NeuroscienceNews.com image is credited to Adam Harris at healthyhandyman.com. 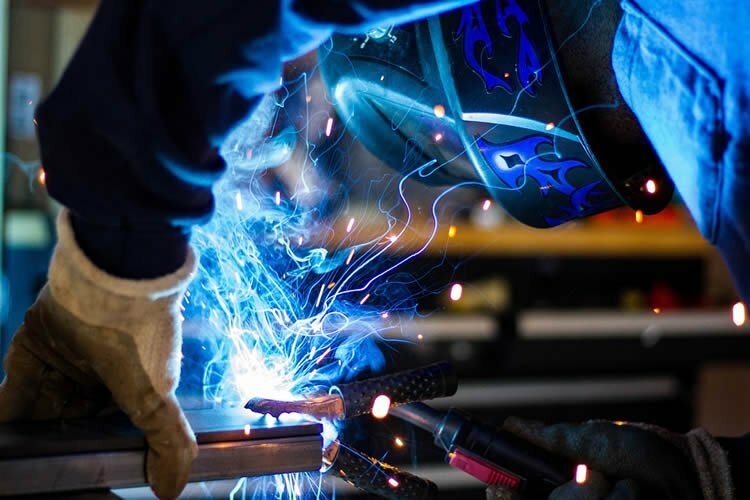 WUSTL “Low Levels of Manganese in Welding Fumes Cause Parkinson’s-Like Neurological Problems.” NeuroscienceNews. NeuroscienceNews, 28 December 2016. WUSTL “Low Levels of Manganese in Welding Fumes Cause Parkinson’s-Like Neurological Problems.” http://neurosciencenews.com/welding-parkinsons-manganese-5824/ (accessed December 28, 2016). Objective: To determine whether the parkinsonian phenotype prevalent in welders is progressive, and whether progression is related to degree of exposure to manganese (Mn)-containing welding fume. Methods: This was a trade union–based longitudinal cohort study of 886 American welding-exposed workers with 1,492 examinations by a movement disorders specialist, including 398 workers with 606 follow-up examinations up to 9.9 years after baseline. We performed linear mixed model regression with cumulative Mn exposure as the independent variable and annual change in Unified Parkinson Disease Rating Scale motor subsection part 3 (UPDRS3) as the primary outcome, and subcategories of the UPDRS3 as secondary outcomes. The primary exposure metric was cumulative Mn exposure in mg Mn/m3-year estimated from detailed work histories. Results: Progression of parkinsonism increased with cumulative Mn exposure. Specifically, we observed an annual change in UPDRS3 of 0.24 (95% confidence interval 0.10–0.38) for each mg Mn/m3-year of exposure. Exposure was most strongly associated with progression of upper limb bradykinesia, upper and lower limb rigidity, and impairment of speech and facial expression. The association between welding exposure and progression appeared particularly marked in welders who did flux core arc welding in a confined space or workers whose baseline examination was within 5 years of first welding exposure. Conclusions: Exposure to Mn-containing welding fume may cause a dose-dependent progression of parkinsonism, especially upper limb bradykinesia, limb rigidity, and impairment of speech and facial expression.